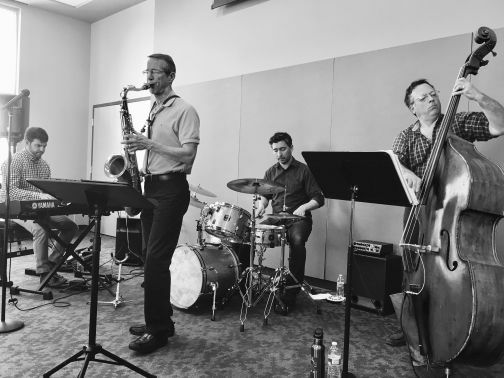 The BKQ is composed of individuals that met while attending Sunday “Madison Jazz Jam” sessions. Their repertoire is a mix of jazz standards and originals. Band members include Kevin Adler, drums; Peter Weil, upright bass; Phil Porembski, keyboard and Bob Kerwin, tenor saxophone.